The KöR® Whitening Deep Bleaching™ System is a powerful, at-home/in-office procedure that produces fast, dramatic results. The take-home system can be completed in two weeks while you sleep, so wearing the tray won’t interfere with your everyday life. Plus, unlike other whitening trays, the KöR® system’s comfortable trays keep the bleach gel sealed against your teeth, instead of leaking into your mouth. If additional whitening is desired, an in-office visit can improve the at-home results. 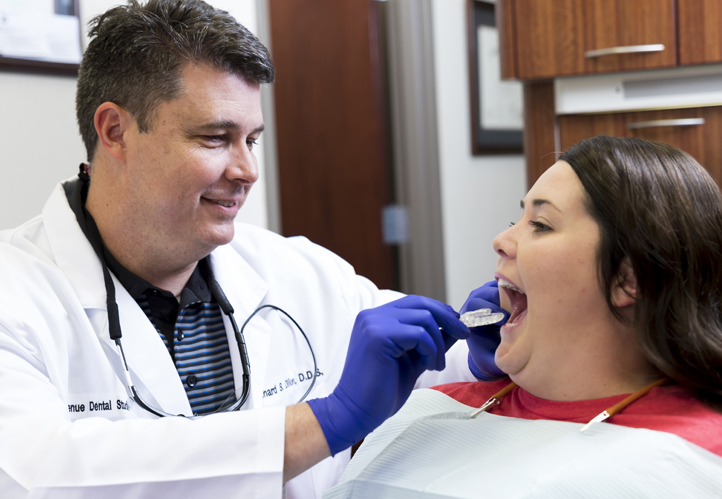 A trained team member will apply a specialized gel to your teeth. By the end of your appointment, you will have a smile that looks like it did years ago! A: Dentist-directed, at-home whitening is one of the most effective ways of brightening your smile. Your custom home-whitening kit involves a special tray that is tailored to fit over your teeth. You also receive prescription whitening gel, which is inserted into the tray before you wear it. Your dentist gives you detailed instructions about how long you should wear the tray each day, and you should expect the entire home whitening process to take between two and four weeks, leaving you with a dazzling smile. At-home whitening trays. These products use peroxide-based gels to bleach your teeth. Generally, the process involves the daily application of the gel in a custom-formed “mouthpiece” for about two weeks. Side effects may include short-term tooth or gum sensitivity. Porcelain veneers. Many people who have tetracycline-stained teeth and who cannot whiten their teeth with traditional means, or people who want a more permanent solution will opt for porcelain veneers. Porcelain veneers are a great way to whiten your teeth in a more permanent fashion. The veneers do not stain over time, and they also correct many other concerns you may have, including crooked teeth, gaps in teeth, and gummy smiles. Most of the smile makeovers you see on television are accomplished with porcelain veneers.